Egyptian authorities have deported a German national of Egyptian origins who recently arrived in Egypt several, due to his affiliation with the Daesh terror group, according the state news agency MENA. Issa Mohamed Abdel-Ghani El-Sabbagh had recently arrived at Luxor International Airport from Germany. According to MENA, the authorities said El-Sabbagh was found in possession of maps of North Sinai. The authorities said he had links with IS group elements in Germany and he come to Egypt to join terrorists in North Sinai. The 18-year-old, a student at the University of Giessen, was deported to Germany on Sunday. The government said that it did not consider El-Sabbagh an Egyptian national since he automatically lost that right in 2007 while a minor, when his father gave up his Egyptian nationality to attain German citizenship. 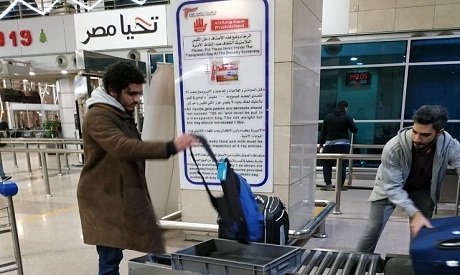 The deportation comes two days after the deportation of another German of Egyptian origins, 24-year-old Mahmoud Abdel-Aziz, who the Egyptian authorities said was also trying to join Daesh terrorists in Sinai.